Meet Lindsay! Lindsay is a incredible woman, entrepreneur, photographer and author and I’ve had the pleasure of company as my studio manager at Jessica Hill Photography for four years now. 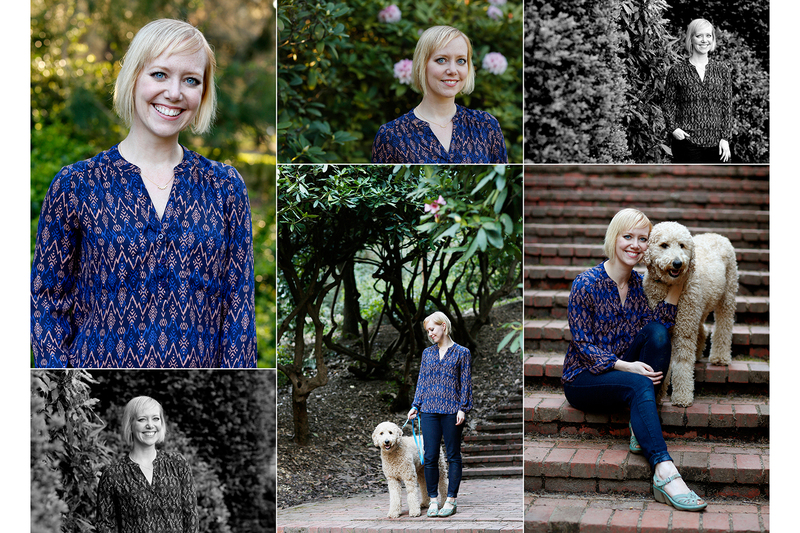 We recently met up in a natural setting to get some great pics of her and her adorable labradoodle, Louie. He also happens to be our trusty studio mascot! She’ll be using these images for her pet photography website, Sit Stay and her author photo for an upcoming book. Because she has a lot to chose from, she can also use them in a multitude of other places, like her newsletter, Facebook and Linkedin. A great headshot is super important to you and your small business. They humanize a business, build trust and add personality. For business use, a headshot should give the impression of an intelligent, warm individual that looks trustworthy, approachable and genuine. They say a picture is worth a thousand words, and I truly believe this. I think having a variety of images is important, both vertical and horizontal, black and white and color and both looking at the camera and away. Good eye contact with the viewer connects you with them and then they can picture themselves doing business with you! Incorporating your personality and hobbies is also key, as it makes you more relatable and likable. I love capturing the essence of a person in a great headshot. I’ve been photographing headshots professionally for over 10 years from professional makeup artists to lawyers to bloggers and beyond. I’ve even had my headshots published in Oprah magazine. Please contact me for pricing and availability and I look forward to learning about you and your business!